Let's not pretend that copper hasn't made a super comeback. It seems like in every home decor magazine/blog/post there are hints of copper all around. I'll be honest, I wasn't too happy with this metal rearing it's head again- I mean, it's just so outdated to me. But once I started to see how it was being used and the new, shiny brightness of it's style, I started to get onboard. And my first project...these super cute copper mug vases, created by my mom and inspired by Pinterest. 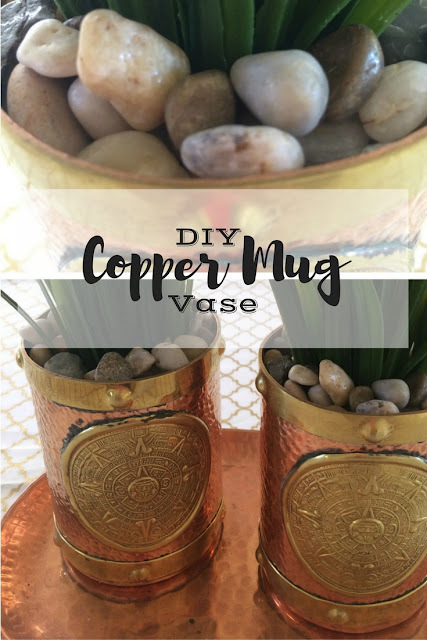 Aren't these copper mugs fabulous? My mom was given these beauties from my grandma, who received them from a friend back in 1987. They came from Zamora, Mexico, and are perfect for this ever growing copper trend. So, my mom used these mugs as vases for faux plants, however, we can totally switch them out for real plants at any time. 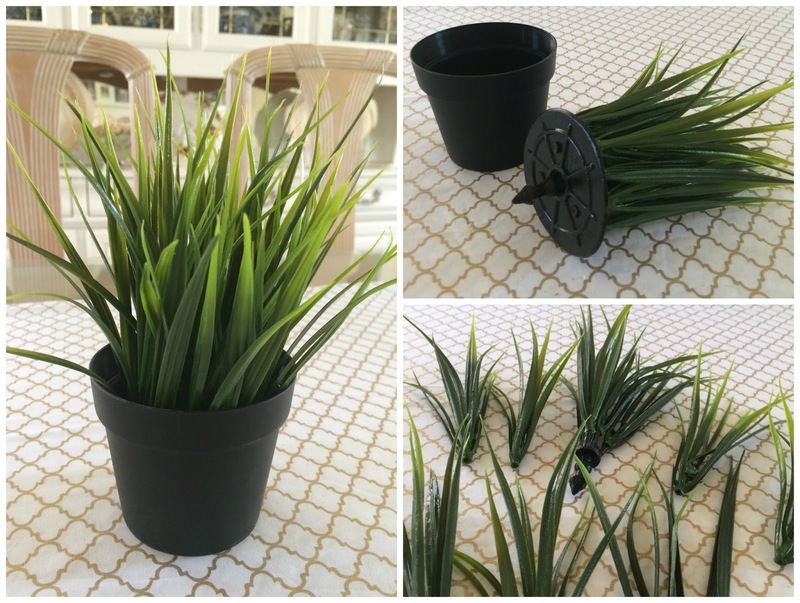 Take apart the artificial plant and divide it up so that each mug has equal amounts. Add a small, fitted block of floral foam to each mug. 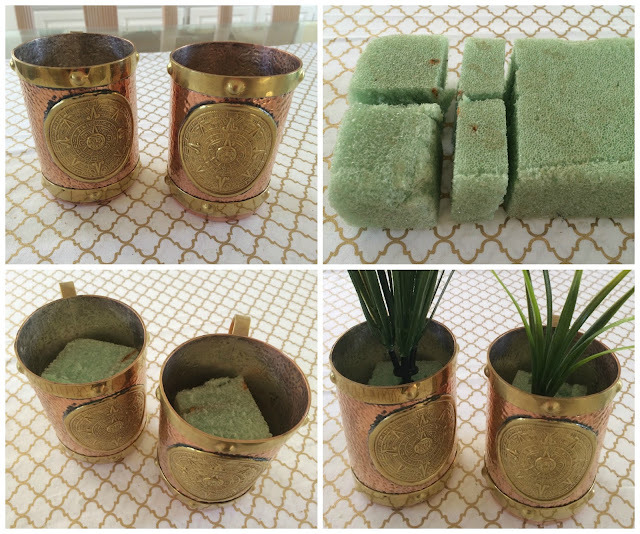 Stick and arrange the artificial plant piece into the floral foam. Using the plastic wrap, create the next layer by rolling a long piece up into a thick roll. This will give a place for the rocks to sit and protect the base of the plant. 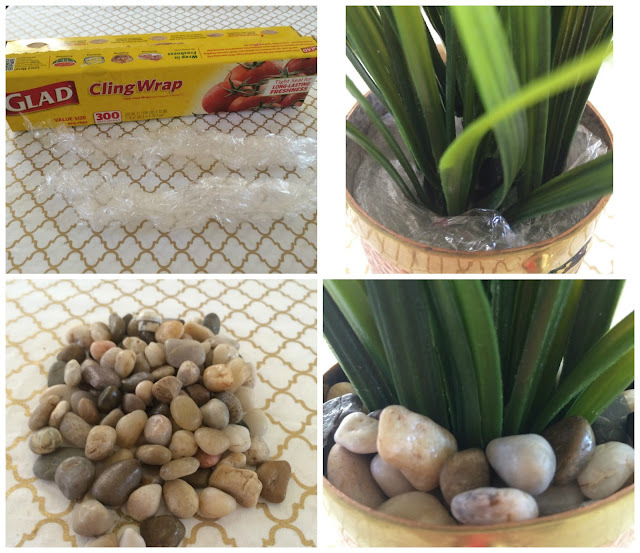 Arrange the rocks on top of the plastic wrap until only the plant is showing. Use these pretty vases as a decorative centerpiece or accent piece! So cute! When I see those copper mugs I think of a moscow mule! ha! it's cute, Ashleigh. Perfect for an outdoor accent :)..
super cute! 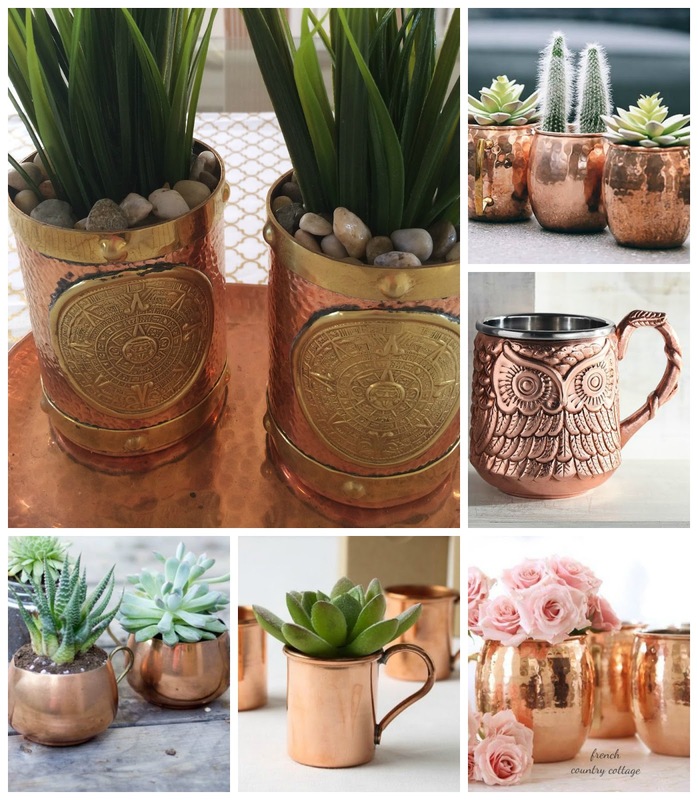 I lovveee the copper trend and these are such a great idea! Those are adorable! I love them. This cookware set is seems to be Gorgeous.